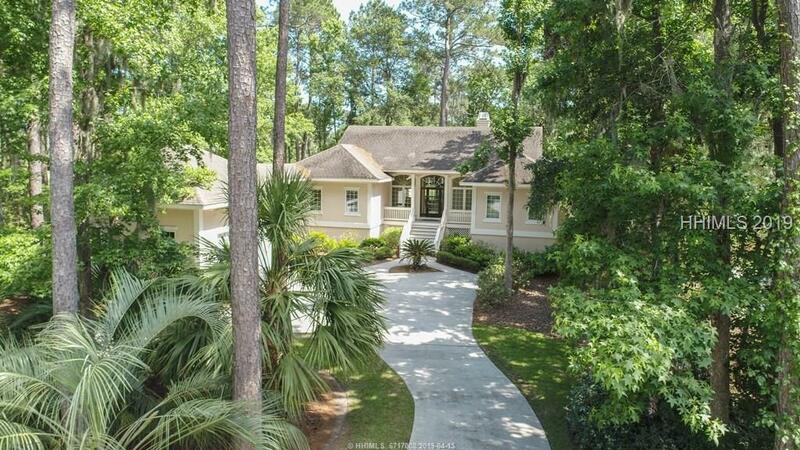 Live the lowcountry lifestyle in this one-story home, elevated to enjoy the postcard-perfect view. Walls of windows bring in the natural beauty and mature landscape, while enjoying a picturesque view of the 4th fairway of the Fazio-designed Palmetto course. The split floor plan offers 3 bedrooms and 3 baths with vaulted smooth ceilings. Enjoy resort-like amenities on this island paradise conveniently located between Beaufort and Bluffton. Membership features tennis, fitness, kayak and boating docks, clubhouse dining and optional golf.